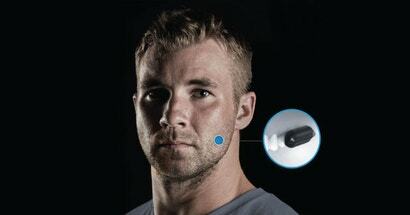 A new communication device that is supposed to go inside military service members’ heads gives us a hint at the sort of technology a new US Defence Department accelerator program is funding. Former US Secretary of Defence Ash Carter created the Defence Innovation Unit Experimental (DIUx) in 2015 with the mission of helping the military industrial complex catch up to the speed of Silicon Valley, especially with the development of drones, communication systems and cybersecurity. But, as Gizmodo has pointed out before, the arduous bureaucracy of government agencies isn’t congruous with the disruption ethos of Big Tech. The Trump Administration continues to support the Obama-era venture, but the DIUx has faced criticism and pushback from Republican Congress members who believe it could overlap with DARPA. Now one of the benefactors of this program, Sonitus, announced it has received a multi-million dollar contract to develop two-way communication devices that clip to the users’ teeth. The technology, dubbed “Molar Mic”, is supposed to be provided for US Air Force service members first, but it might eventually be used by other military branches. Defence One reports that Sonitus was awarded about $US10 million ($14 million) for the project. Sonitus CEO Peter Hadrovic explained to Defence One that using the Molar Mic is similar to hearing the sounds of cereal crunch inside your head, using the “auditory pathway” of your teeth. He said users can understand the audio as soon as they put it in, but it gets easier with use. “Over the period of three weeks, your brain adapts and it enhances your ability to process the audio,” Hadrovic told Defence One. The device uses near-field magnetic induction to sync with a transmitter, similarly to Bluetooth. 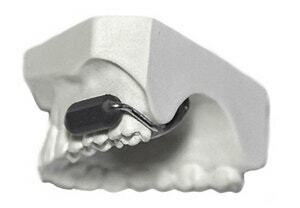 It’s custom-fit to the user’s mouth, then snaps into their molars. The microphone and wirelessly rechargeable battery are obviously built to be waterproof. The current prototype looks as though it would be irritating and a choking hazard. But it would certainly be more convenient than a handheld device for people who are, say, jumping out of aircraft and swimming as part of rescue missions and combat. Sonitus began developing the technology using funds from the CIA-focused non-profit venture capital group In-Q-Tel (a reference to Q, the fictional head of research and development behind James Bond’s gadgets and weapons). But Hadrovic would not tell Defence One if the CIA had used the technology. Sonitus reportedly did give prototypes to pararescue members in the Air National Guard’s 131st Rescue Squadron at Moffett Field in Mountain View, California, through the DIUx “warriors in residence” program. And Hadrovic said some of those service members took Molar Mic prototypes to Afghanistan and provided feedback. Another group of pararescue members reportedly used Molar Mics during rescue operations in Texas after Hurricane Harvey. A spokesperson for Sonitus told Gizmodo the company won’t speculate about when the technology will be available for commercial, industrial or consumer markets — and the company wont scale beyond military use until it completes the contract the Department of Defence just awarded them. So we probably have at least a few years before civilians start lodging phones into their throats.